The unanimous response was Anne Corder Recruitment. Hailed as an agency well known and respected in the area for being headed up by a seasoned HR expert, Clare didn’t hesitate in signing up as a candidate. 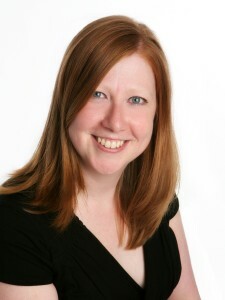 16 years later, and ACR has helped Clare find three jobs as a candidate, recruit numerous new members of staff as a client, and even offered professional and personal advice and support when Clare branched out to set up her own HR business, PeopleHR, in 2010. “I still remember the initial conversations I had with Anne and her team when I first arrived in Peterborough, about how I operated and where I saw my career going,” said Clare. “I really felt that Anne in particular understood how I wanted to work as an HR professional, and it is that understanding that has me returning time and time again to employ their services,” she added. ACR’s working practice has been shaped by Anne’s early career working in the HR departments of several high profile companies, giving her specialist expertise in HR, personnel and training recruitment. Having a wealth of experience in setting up her own business, Anne became a natural mentor to Clare when she first launched PeopleHR, introducing her to local contacts and facilitating networking opportunities. PeopleHR grew organically and exponentially in the years following, providing project based HR solutions to enable businesses to access their people power. Clare’s success in helping local SMEs without large HR departments to effectively manage employee relations made her an obvious choice to speak at a selection of ACR’s Lunch and Learn workshops aimed at hiring managers. “We are delighted to share and recommend Clare’s skills and experience with our clients as part of a professional partnership,” said Anne Corder. Clare’s sessions have gone back to basics, covering topics such as what you can and can’t say in recruitment, performance management and learning and development.